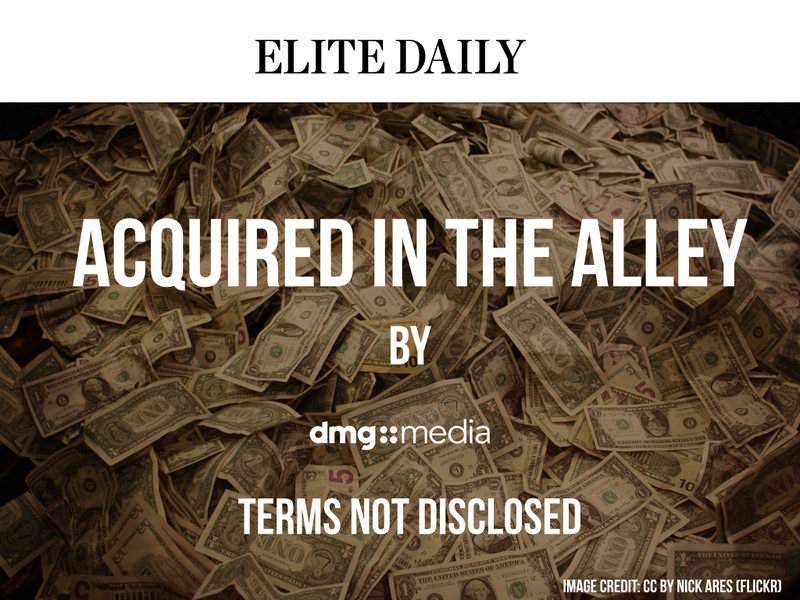 DMG Media, owner of DailyMail.com, is acquiring Elite Daily for undisclosed terms. The Millenial-focused online destination that offers peer-to-peer interactions of world news, finance, sports, culture and all things luxury, had raised $1.5 million in a convertible note from Social Starts, Red Sea Ventures, Vast Ventures, and Greycroft Partners. According to Daily Mail, Elite Daily now boasts 74 million monthly unique visitors, mostly between the ages of 18 and 34. The Daily Mail is the world’s largest English language newspaper website.